Though she's a military scientist she's not dressing very much to code (if there is one) I just wanted to make it apparent that this is a time change as opposed to just a scene change, and red was definitely a eye catching colour that doesn't easily go unnoticed, so hopefully it will catch readers eyes right away so that the idea that this is a time change is easily realized without them having to go "Ohh what, hey now that I look a second time she IS wearing something different"
Drawing wise this page was alright, not my best work... and AGAIN with the white rooms... but hey, it's not gawd awful either. Dang, now I really want to see what's behind that door there. 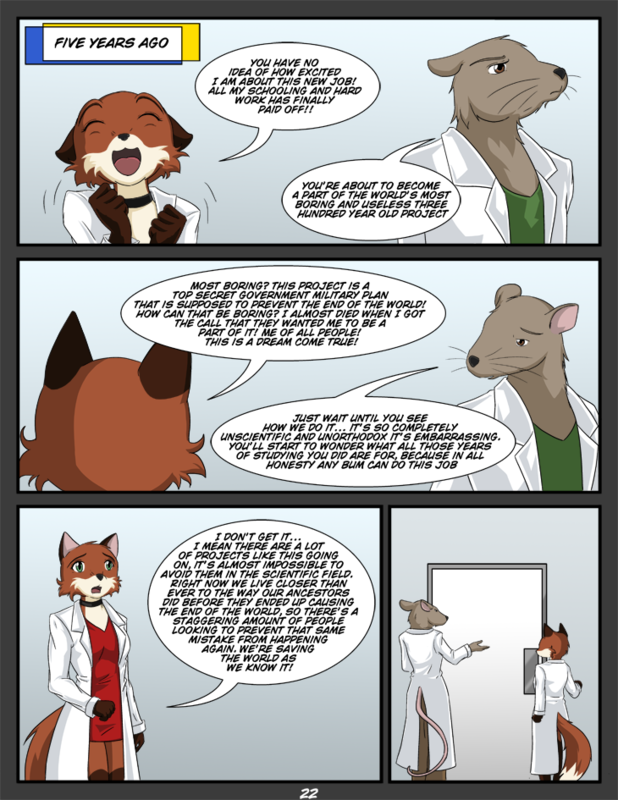 Love the lab rat thing too, very fitting. Another time skip? Wow my brain. Lol I love the first frame. She just looks so excited. I happen to like the white rooms and concrete grey backgrounds you've been using. It gives a sense of realism. Because, let's be honest, most rooms are white and when outside, there is a LOT of plain grey concrete. Love her face in the first panel lol its all " EEEEEEEEEEEEEEE~!"